You must be knowing Jesca from Burundi, she is now in Dar-es-salaam after travelling from Bujumbura. The lady who claims that Diamond Platnumz abandoned his twin girls and has never given them any financial help is now in Tanzania, to do a DNA paternity test with the singer and also to hold various interviews over the matter. Unfortunately for her, Platnumz is still in South Africa trying to sweet talk Zari to calm down over the Hamisa Mobetto saga, their house is still on fire though, otherwise by now, the two lovers would be sharing lovey dovey pics like they normally do, but it's too soon for such considering what happened. Jesca was spotted at Kigoma Railway station making her way to Dar. 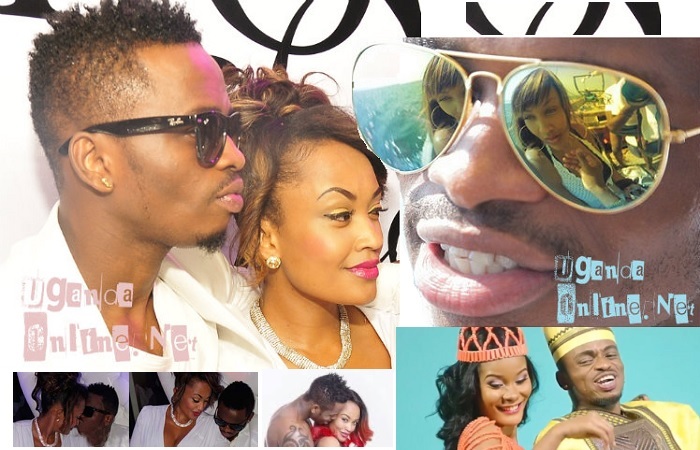 Diamond Platnumz fans have encouraged her to go ahead and bring the cute little girls. 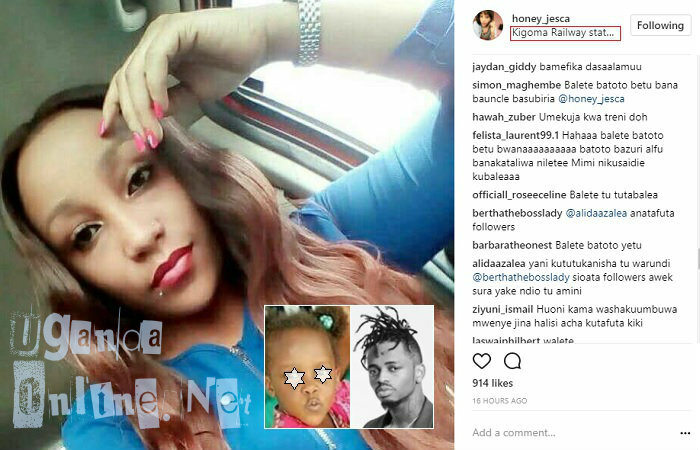 In one of Jesca's latest posts, she is seen comparing Platnumz with one of the twins to try and show the striking resemblance between the two. The girl also resembles Tiffah Dangote, Zari's first child with Diamond Platnumz.